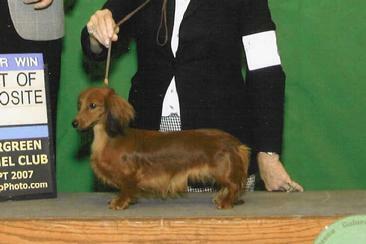 All points counted Bridgette has earned her AKC Conformation title with a bang from the open miniature class. She outshined her competition with her ellegant movement, good looks and sound structure. Our thanks go to Mrs. Lisa Warren for regonizing her qualities. 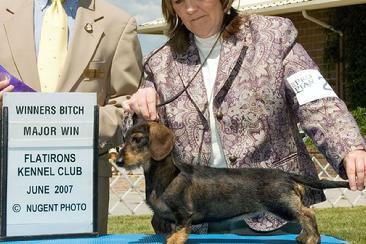 Bridgette is the 3rd Champion out of this litter. 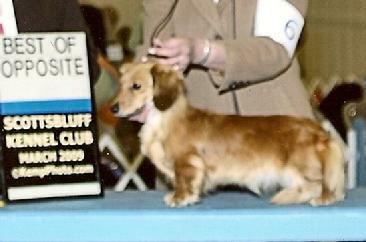 Heidi finished her AKC Conformation Championship at Colorado Springs K.C. 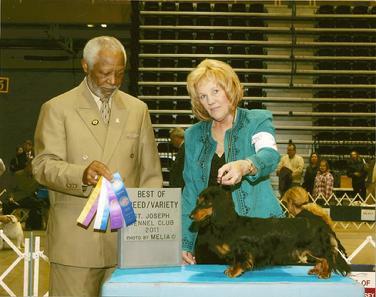 on June 07, 2008, under Judge Judi Bendi going WB/BOS over Specials. 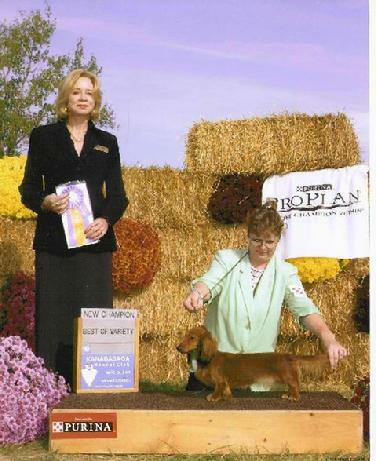 Heidi's Finishing her Championship gave her mother Cassie the qualifying requirements to be able to apply to receive Top Producer Register of Merits. 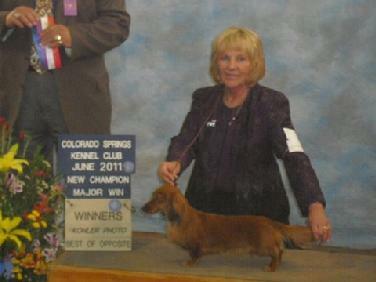 Has Received Her First 3 Point Major from Flatirons Kennel Club In Longmont Colorado. Thank You Douglas A Johnson For This Major. Bobbi Jo Finished With A 5 Point Major, A 4 Point Major and 2 Three Point Majors Plus 2 Points. Yeah! 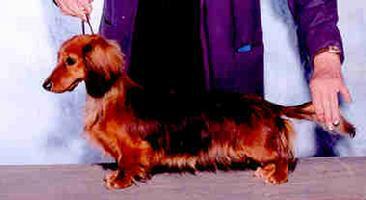 Nikko pick up her First 4 Point Major in Utah going W/BW/BOS over specials. And won 3 days in Bismarck North Dakota for 5 more points.